Tissé Rivoli is well-balanced assortments of taupe and brown. The top two shades lean cool while the bottom colors are more reddish and warm. 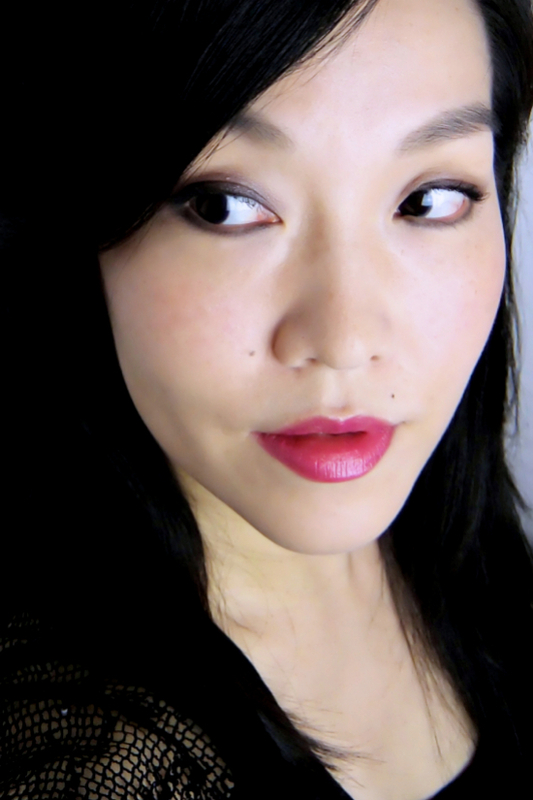 You can easily create soft smoky eyes with different tones or just use each colors to define. 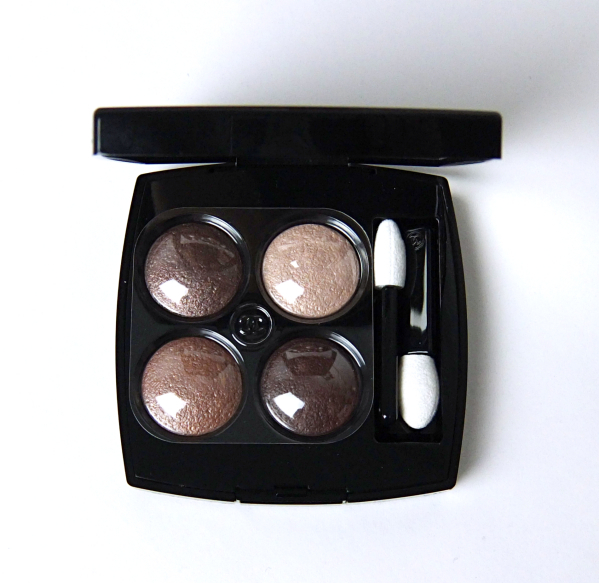 As you see, the metallic taupe (top left) is most pigmented and darkest, which is surprising. This is a gorgeous gorgeous taupe that is quite unique. Love! The pinkish ivory and coppery beige have the luscious satin finish. 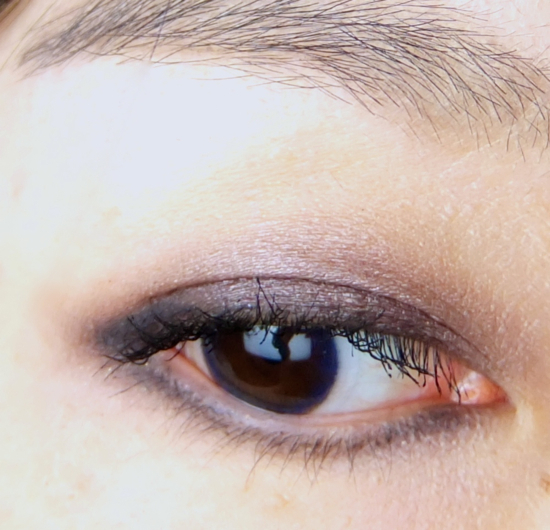 The dark brown is virtually matte and least pigmented. I used dry sponge tip applicator with very light strokes for these swatches, so you can see all the colors are well pigmented with great textures. I tried a very simple look using the bottom two shades here. All shades were applied dry (I don't really wet my eyeshadows) over primer. Many bloggers already have raved about the new baked formula - how it is more pigmented than the Euro quadra and more complex than the U.S. powder version. I happen to agree with the major opinions. However, I do see some inconsistency in color payoffs depending on the finish, and also like to point out that the new baked formula is not necessarily more pigmented than the U.S. one, at least when applied dry. I have two U.S. quadras and one old euro one. To me, each has its own merits and one is not necessarily superior to others. For example, the old baked formula is best to layer with cream base eyeshadow providing the signature sheen that is quite beautiful (although I know many hate the euro baked formulas). If you like instant gratifications from color payoffs and smooth texture, the U.S. quadra is the one for you. 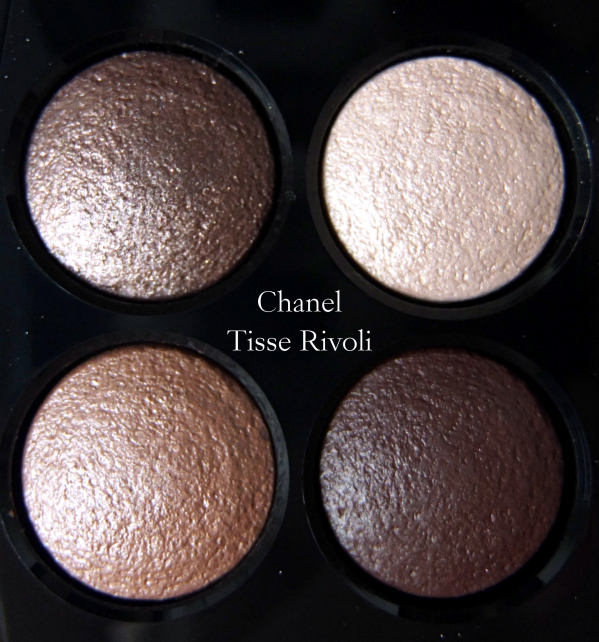 The new multi effect palette seems to be a happy medium of the Chanel's two previous offerings, and it is the most versatile and easiest one to use. 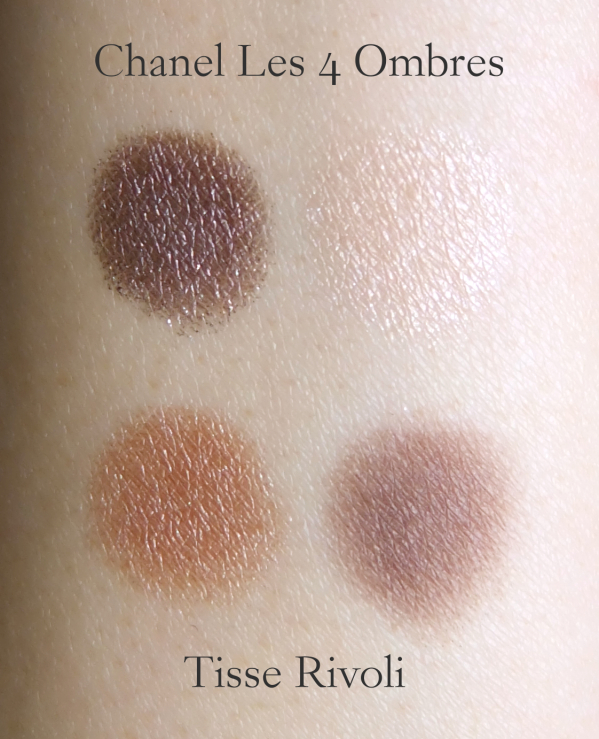 Have you tried the new Chanel Les 4 Ombres Tissé collection? The colours are too warm for me, but they suit you to a T! So envious of your Snow White complexion! 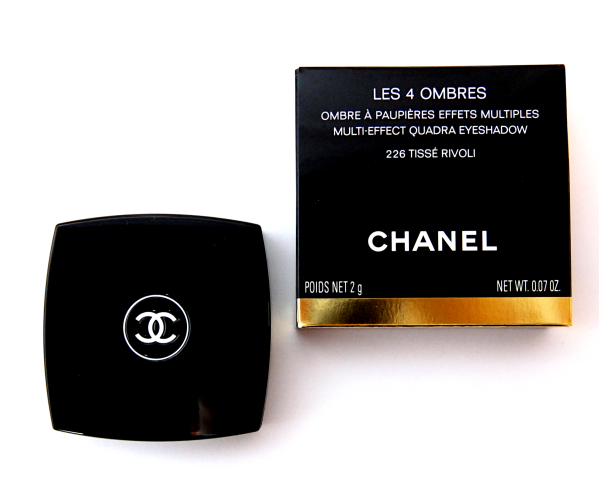 I've been eyeing this quad from Chanel! a lot of bloggers have been raving about the new formula and the color selection is just my cup of tea! I am not sure whether I am willing to spend so much for a chanel quad as I had not so good experience with their old formulation.. I was looking at Poésie and also the Camelia! the neutrals are exceptional from this new collection! I am in Europe and so only familiar with the baked version. I have three, because they're so pretty, but they are not my favourite shadows (very poor pgmentation and a lot of fallout) and to be honest I hardly ever use them. The Tisse collection has been out for a long time here but I have not even been tempted to try them. My favourite eyeshadow formulations from Chanel, and palettes I have actually used quite a bit, have been Harmonie de Soir and the Charming palette, both of which were special and not baked. Unfortunately they're not exactly summer palettes! I don't know why they can't do that quality all the time! Really pretty! I know everyone says these are better, but I'm still so leery of them haha. Been burned too many times by Chanel I guess! I don't have any Chanel eyeshadows, so I have nothing to compare to. But I really like the colors in this palette! So pretty. :) Almost all the eyeshadows that I have are neutrals though. I think I need to step out of my comfort zone one day! I do love the look that you created though! These have been out in Canada for a while and I've been ignoring them until this week's rave reviews, lol. Went out to look at them closer today and kind of fell in love with Tisse Venitien. But there are so many gorgeous fall palettes launching soon that I can't decide which one! Venetien is such a well-composed quad! I'd pick up if I could pull off greens a little better. Ah, never mind. It is not the same color! God, Liz, why you do this to me..?! The leather one is not even more expensive than the horrid gold case. I'm out of excuse not to buy it!! I'm glad you really enjoy this formulation! We only have baked quads here in singapore and I'm still wondering which one to get! I love the finish of these shadows and they're so easy to use from what I see! what a beautiful quad! Envy you that you could pull off beautifully with cool and warm tones. I heard about the new baked formula and eager to swatch them in person before I "invest" my $ in it as it is so pricey. I still can't keep track of all the versions! Lol! This is a beautiful set of colors, but I have a lot of nudes, and like I said, for some reason, Chanel quads don't get my heart beating faster :P Shiseido has some gorgeous trios coming out for fall, so I will hold on to my wallet until then!! Waw ! This is gorgeous on you ! I've read only positive reviews of these new quads but I still have my reservations. I love the shades here though I'd love for the matte brown to be more pigmented. What a gorgeous quad! I can't believe I don't own any Chanel quads, I think this needs to be fixed ASAP. There is something really special about baked formulas, right? I also heard Laura Mercier makes good ones, too. The more I play with these the more I'm annoyed that I seem to have to use the sponge tips in order to get a stronger color - my brushes just don't seem to cut it and maybe it's bad but I refuse to use eyeshadow wet. What's the point of having nice brushes if I don't use them? Of course with this I blend out with brushes but still. Maybe I'm not making sense lol! I still think this is a beautiful palette, but I only have one older Chanel quad to compare it to. You are right...each has their merits! Great review! I have to agree with you, Gummy. The new baked formula is much softer than the old one, but it is still harder than the US powder formulation anyway. I think the color payoffs vary a lot depending on the finishes as well. I definitely need a stiff brush or a sponge tip for matte shade. The shimmery metallic one has no problem with any other brushes, though. I think most rave reviews are somewhat misleading although I wholeheartedly agree that the formulation is a big hit in general!